What Can the Herald Do for Brown? Keep it sunny-side up, for starters, unlike the prunefaces at the stately local broadsheet. Brown is protested in N.H.
NASHUA — A Granite State welcome wagon, it wasn’t. 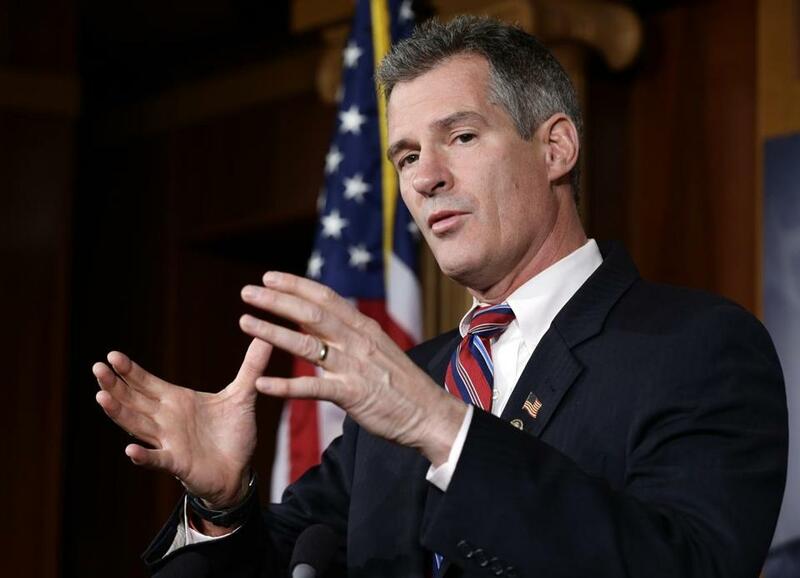 More than a hundred protesters, from left and right, greeted newly minted New Hampshire resident Scott Brown here Thursday night as he headlined a state GOP holiday party. Inside the private fund-raiser, Brown, who is a potential challenger of US Senator Jeanne Shaheen, was said to have been greeted warmly and to have posed for photographs with supporters, while remaining coy about his plans. Across the street, two protests merged, as gun-rights advocates, raffling off a firearm, stood shoulder to shoulder with Democrats to encourage the former Massachusetts senator to return south, or, at least, not to run for office here. The rest were Democrats who just oppose Brown, period. The Senator from Elsewhere got a much friendlier reception in the Boston Herald. but denied he’s toying with his fellow Granite State Republicans. Not until he went outside, anyway. But the the Herald report downplayed the protest, relegating it to a photo caption. The flirty local tabloid, on the other hand, is that into him. This entry was posted on Friday, December 20th, 2013 at 1:25 pm and is filed under Uncategorized. You can follow any responses to this entry through the RSS 2.0 feed. You can leave a response, or trackback from your own site.